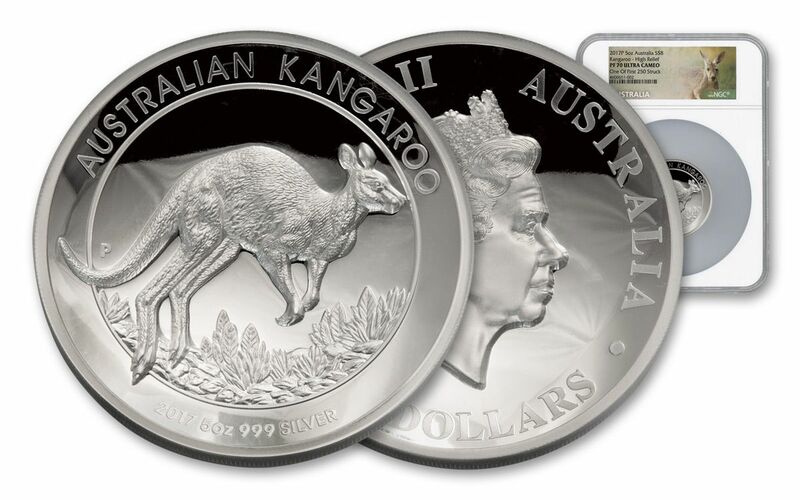 Massive Five-Ounce High Relief Proofs from Australia's Expert Artisans! When it comes to finding a mint that creates amazing high-relief proofs with spectacular detail, look no further than the West Coast of Australia! The Perth Mint is consistently on the technological forefront of coin and proof production, making as deep of an impression on collectors as they do on precious metals. 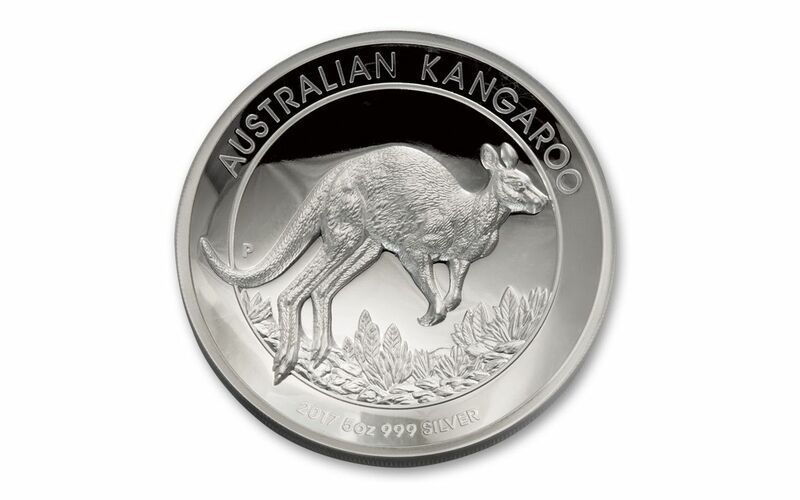 This spectacular 2017 Five-Ounce Silver Kangaroo High Relief Proof is the latest in a long line of stunners from down under! 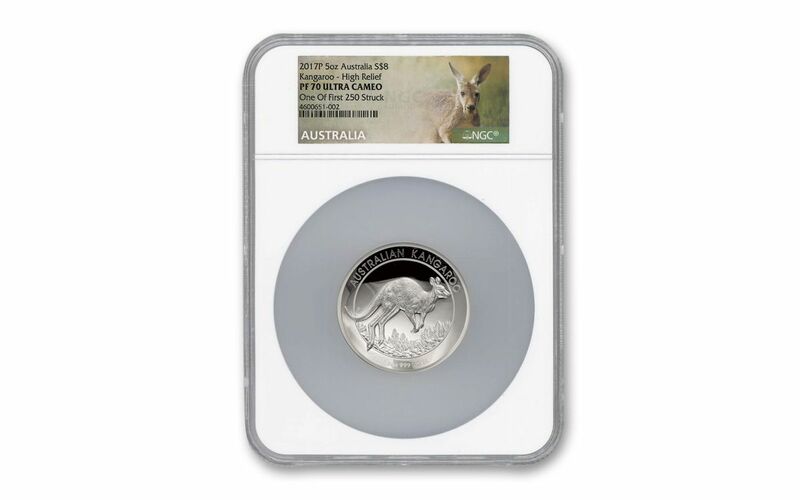 A TRULY AUSTRALIAN DESIGN-- The Kangaroo is among Australia's most recognizable creatures, so it's only natural that this proof features its title subject front and center, hopping through the brush of the Outback. Jennifer McKenna's kinetic design comes to life with intricate details that command the eye. PROOF-STRUCK IN HIGH RELIEF-- Using state-of-the-art minting techniques, hand-selected five-ounce planchets of 99.9% fine silver are struck multiple times using polished dies. This combination of manufacturing power and engraving art produces frosted details that rise with crafted depth above concave, mirror-like fields. 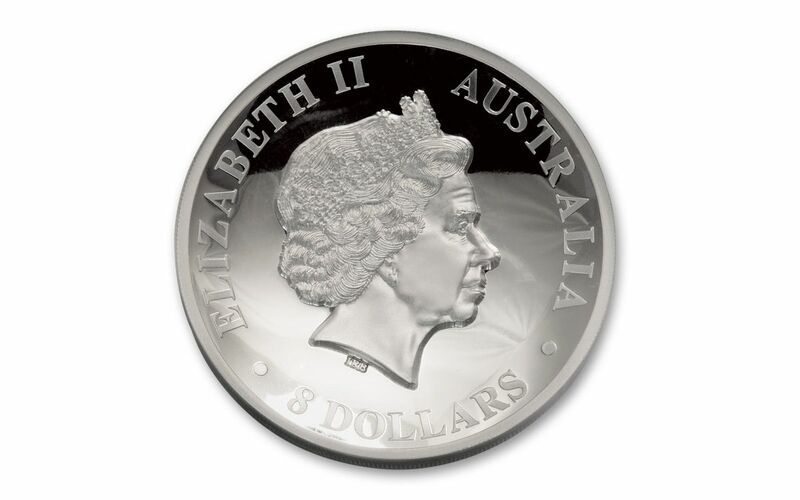 AUSTRALIA LEGAL TENDER-- Your 2017 5-oz Silver Kangaroo High Relief Proof is eight dollars Australia legal tender, a fact reflected on the coin's obverse along with Ian Rank-Broadley's profile of Her Majesty Queen Elizabeth II. 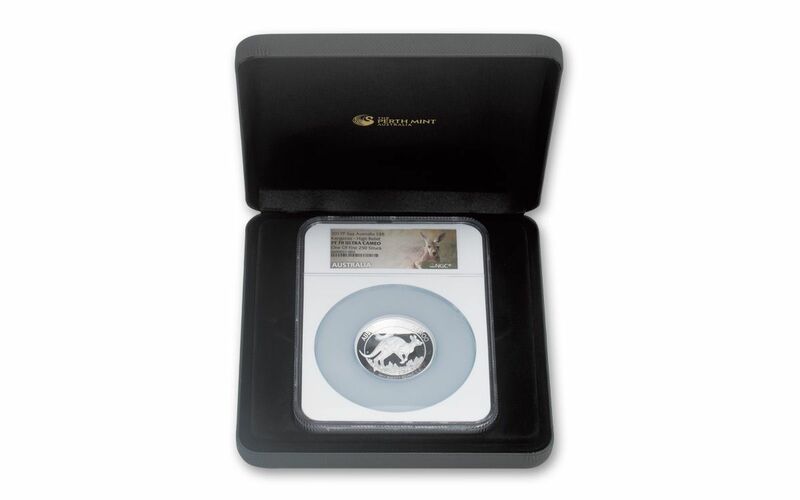 CERTIFIED FLAWLESS-- Your coin will come certified Proof-70 Ultra Cameo (PF70 UC) by Numismatic Guaranty Corporation (NGC), a distinction that means your perfectly graded 2017 5-oz Silver Kangaroo High Relief Proof will have ZERO imperfections -- showing all features and fields exactly as the engraver and mint intended! In addition, your proof will be certified as One of First 250 Struck by NGC, meaning that it was among the VERY first produced by the mint. Finally, your proof will be sonically sealed in a protective acrylic holder along with a special Kangaroo label, secured inside a Perth Mint-branded clamshell case and accompanied with a numbered certificate of authenticity. A LIMITED MINTAGE -- The Perth Mint has set the mintage for these high-relief proofs at only 1,000 for countless collectors worldwide. High-relief proofs from the Perth Mint are sought after by collectors around the globe -- one look at this proof and you'll see why! That's why we're expecting demand to quickly take over our supply of these lustrous proofs. Don't hop past -- stow one away in your cart today!